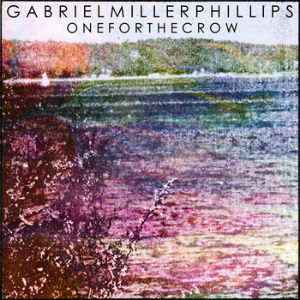 "One For the Crow," the debut album from Gabriel Miller Phillips, reveals ten unerringly crafted songs. Narratively rich lyrics are delivered with cool grace, and they thread together the sparkling and dark musical textures that lie beneath this collection of intimate songs. The album was recorded in Brooklyn with synths from Alex Lipsen (Phosphorescent), cello from Yoed Nir (Regina Spektor), percussion from Parker Kindred (Antony & the Johnsons), and additional contributions from others. One For The Crow is no party music. Instead, it's a companion for a solitary midnight drive, far out of town. Each of the 10 songs, including one with text from Hank Williams' I'm So Lonesome I Could Cry, explores isolation -- a theme given much thought by Miller Phillips, who began songwriting while recuperating from illness. A handful of years ago, when it had become too painful for Miller Phillips to walk, he underwent several operations to straighten his leg bones and spent two and a half years largely bedridden in a house on the Massachusetts coast. In the tradition of musicians from Sonny Rollins to Bon Iver who went woodshedding to hone their craft, Miller Phillips turned this period of isolation into a formative experience, polishing his musicianship and songwriting. Miller Phillips is based in Brooklyn, NY and Munich, Germany. He has toured the continental USA multiple times and participated in high-profile American festivals including SXSW and Brooklyn's Northside Festival. He plays shows and festivals in Europe. He has shared the stage with artists including Sharon Van Etten, Charles Bradley, Easter Island, and Alina Simone. An October 2013 tour is planned for the UK.